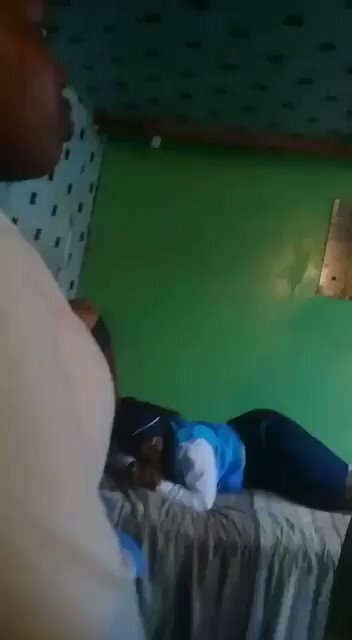 The Daily Dispatch's tweet - "WATCH | Young women severely beaten for 'sinning' by church elder "
Her name Tsidi Spampool, founder and leader of Endumisweni Gospel Group. She is notoriously known for doing this at Endumisweni Faith Mission-Nu8. The girl she is assaulting is not her daughter. Members of the church allegedly refer to her as ‘The Angel’, whatever she says, goes. Uxolo mama, uxolo mama...kanti bakhonza ntoni xa bengenalo uxolo? ATM @MzwaneleManyi 🤷🏾‍♂️ nenzani madoda? Those elders don't understand the principles of Christianity. They should have prayed 🙏 for the young women instead of beating her. The church, if it is a true church built upon Christ, must move to discipline her..
For abomama watching this poor women being brutaly beaten by tht imbecile it irks me honestly!!! Where's the videos of Catholic priest sexually abusing young boys? Our people need to also consider praying in their own homes. We're so drained by this wrong things happening in churches. Churches have become places of torture and sinning. Why tf are these people just sitting there!!?! Early 90,s was going to school with kids who were staying Endumisweni,I did not understand it mostly were girls . This is complete nonsense. @SAPoliceService arrest this woman. People must stop attending cults. When the ways of the church become distorted through the manipulation and brutality of individuals with no sense of who God is. "strive for peace with acts of war"
This is so humiliating, the woman should be grateful the kid took it lying down cos honestly, no1 deserves that. What’s sins are these that warrant such beating ? This lady needs to have the Popo called on her. She needs a few month/years in jail for this abuse. And I don't care whose child she is. No child needs to be abused in any way for allegedly "sinning" against anyone/thing. Plus, who is she to judge and punish? Deputy God? Tsek! You can keep the church! Ke likhotse! This in itself is a sin. Is this the Holy Ghost which has manifested? This is a lie, these ppl lie a lot. That's the child's mother beating her for posting something. We understand what they saying in that video. I stopped going to church a long time ago coz I realised gore the whorst people are in the church hiding behind the name of Jesus and demons to defend their actions. Why are you calling this a church. Which part of this resembles a church? Yile cawa iseMdantsane le ? Wtf is happening in our churches? So church leaders are now tired of praying and decided beating is the answer. Smh.